If you diet and exercise but still have areas of stubborn fat, truSculpt, the premier body sculpting treatment, is clinically proven to eliminate fat cells regardless of your shape or body type. truScuplt delivers clinically proven results, without surgery or downtime, its fast as 15 minutes, safe, comfortable and effective. its the only FDA approved Radio Frequency treatment to do apoptosis (killing the fat cells). A New Dimension In Body Sculpting with a multi-dimensional approach. truSculpt 3D, gives you the power to Reshape Dimension, Improve Definition and Reduce Overall Depth in one simple 15- 60 minute hand-held treatment. 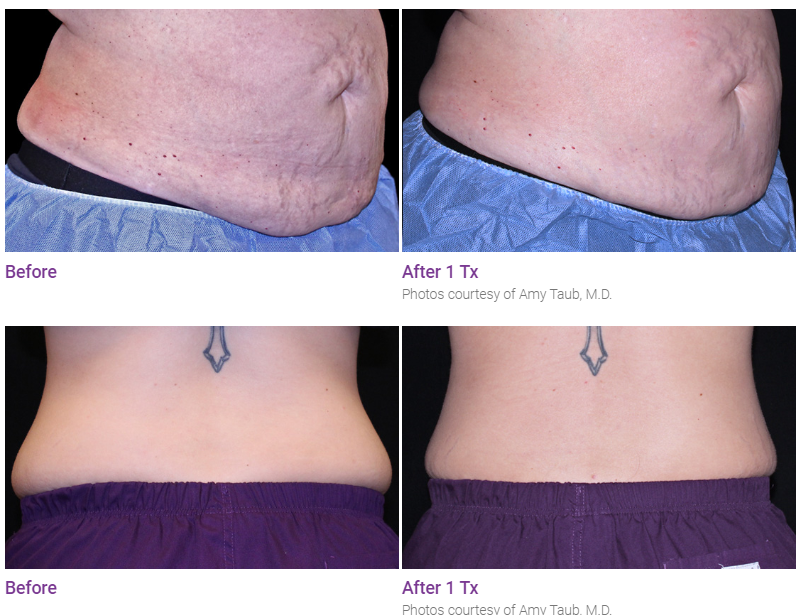 truSculpt uses innovative monopolar radiofrequency technology to selectively target fat tissue and therapeutically heat it – until it’s eliminated and passed through the body naturally. Patients achieve an average of 24% fat reduction in as little as one treatment. truSculpt is clinically proven safe and effective to get rid of stubborn fat cells permanently. Heating of subcutaneous tissue layers’ builds collagen fibers that strengthen the dermis against the invasion of adipocytes and stimulates lipolysis to shrink fat cell volume, at the same time enhancing blood circulation throughout the treatment area. TruScuplt 3D, multi-channel mode creates a stronger, more accurately distributed thermal response allowing for effective cellulite treatment, circumferential reduction, and skin tightening at the same time. Multiple areas can be treated in as little as one 15-minute session. Results are visible after just one treatment, with maximum results seen after 12 weeks. Additional treatments may be required to achieve the personalized results you desire. truSculpt procedures are typically described as feeling like a hot stone massage. During treatment, the temperature of your skin will rise but remain comfortable. It’s effective, safe and the results are even and consistent. What can it do for my arms and legs? Go sleeveless or wear shorts with full confidence: targeted arm and leg treatments will improve shape, definition and contouring. Treatments can be done on upper arms, inner and outer thighs of all shapes, saddle bags, love handles, knees, double chin, braw bulge, any area that has fat deposit. Feel better in your clothes, look better out of your clothes and flaunt your youthful shape. * Dr. Motamedy and her staff have been trained and certified by Cutera Company to perform this treatment.